Whether visitors are looking to gain experience in a new field, find meaningful ways to travel, or simply want to lend a helping hand, there is a number of organizations in Bangkok doing their best to better the city. Here are our suggestions for places to work as a volunteer in Bangkok. The Friends for Asia Foundation is an independent organization founded by former Peace Corps volunteer, Todd Cikraji. The organization values the importance of international volunteerism and welcomes participants from around the world to join them in their quest to positively contribute to the communities in which they operate. Two thousand interns and volunteers had participated in a Friends for Asia program, as of 2016. Volunteers making their way to the City of Angels can look forward to exploring the capital in a way that many of tourists miss out on. Friends for Asia has a number of programs to choose from, including a women’s empowerment project, English education volunteer project, and the kindergarten volunteer project. You can also apply to be an orphanage volunteer, a medical intern, or an English teacher to a novice monk. Participants must be available for a minimum of two weeks, and will receive orientation and training, travel insurance, and 24-hour support from Friends for Asia. Accommodation is also provided, and the housing is located along the BTS Skytrain, making it easy to explore the city during your down time. 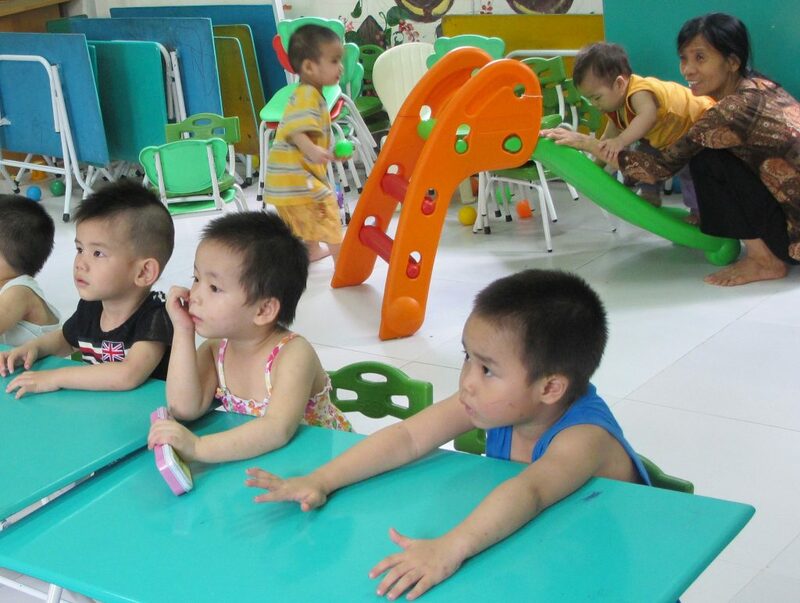 Friends for Asia also operates projects in Chiang Mai, Hanoi, Kathmandu, and Ubud, Bali. Getting an education can be difficult when lacking the necessary tools to thrive in the classroom, and this is often the case for many students across Thailand, especially for indigenous children from Thailand’s northern regions. Paper Ranger tries to solve this problem with their handmade notebooks. 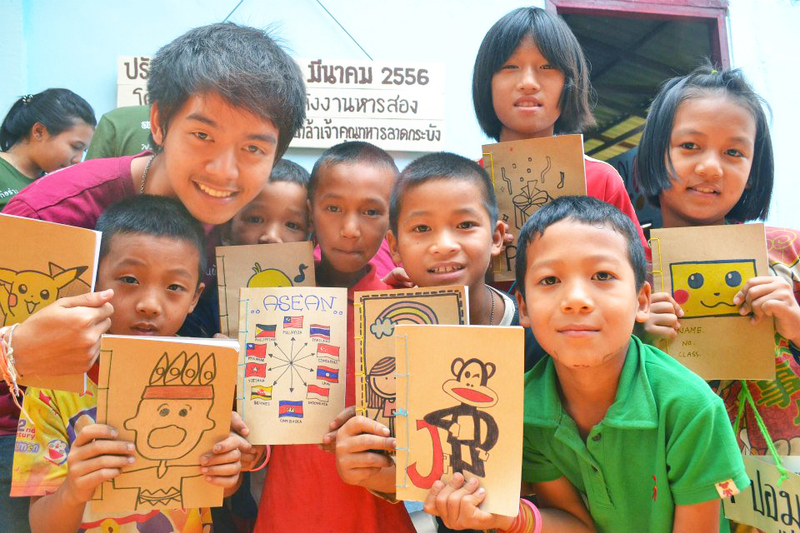 Created in 2007 by a group of university students, the organization has created some 200,000 notebooks, which have been distributed to students in need across Thailand. Visitors to Bangkok who want to support this cause can pay ฿300 (US$8.70) per person to meet with the organization and make their very own notebooks. These will later be distributed to children in need. Participants can choose a time convenient for them, and groups are welcome to book together. Food lovers flock to Thailand to chow down on its delicious and unique cuisine. Those hoping to simultaneously indulge their inner-foodie while doing a good deed should check out Courageous Kitchen. This organization is not your typical charity. Formally known as ‘In Search of Sanuk’, Courageous Kitchen hosts cooking classes for visitors to Bangkok and uses the raised money to help kids at risk from poverty, malnutrition, and those without access to a good education. The organization started in 2009, but it was not until 2014 that the idea of learning in the kitchen was realised. The founders started to host cooking classes with students in the hope of boosting their self-esteem and improving their poor nutrition. After seeing such great results, the project officially came to be in 2015. Love Volunteers is an organization working to better communities around the world. The organization has over 120 programs in 30 countries, five in cities across Thailand including Chiang Mai, Koh Samui, Kanchanaburi, Surin, and Bangkok. Volunteers in Bangkok stay in a volunteer house for a minimum of one week and maximum of 24 weeks. The majority teach English. Volunteers must be at least 18 years of age and be ready to commit to a normal working week. The program fee ranges depending on the number of weeks spent on location, as well as the program volunteers choose to participate in. The fee covers accommodation, orientation, and the support of the Love Volunteers staff throughout the program. Programs start at about $600. To understand Mercy Centre, volunteers must first understand the Slaughterhouse. The city’s poorest slum, also known as Bangkok Slaughterhouse, can be found in Klong Toey. Father Joe Maier, a priest in these slums, opened a preschool costing only 1 baht per day (US 3 cents) in 1973 for children who would otherwise not get an education. This was the beginning of The Human Development Foundation, also known as the Mercy Centre. The number of kindergartens in these slums grew over the years, and as of 2012, there were 22 providing education and care to 2,500 children. 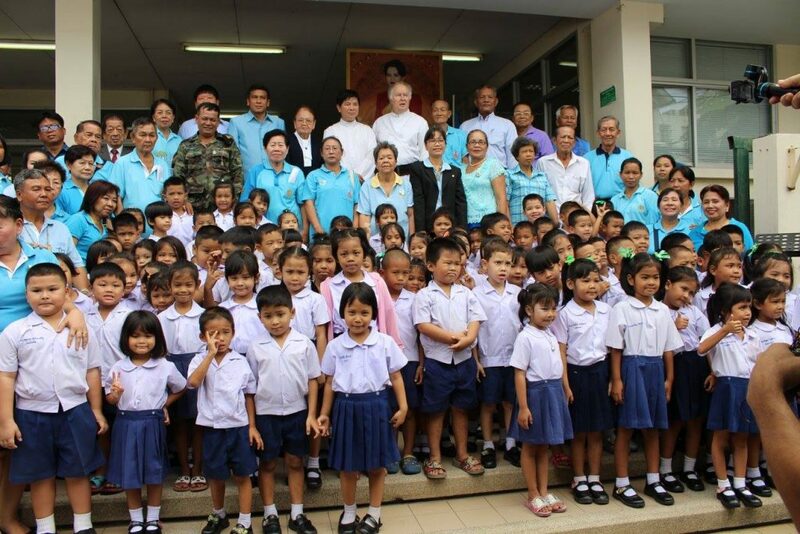 a preschool costing only 1 baht per day (US 3 cents) was opened in 1973 for children who would otherwise not get an education. This was the beginning of The Human Development Foundation, also known as the Mercy Centre. The number of kindergartens in these slums grew over the years, and as of 2012, there were 22 providing education and care to 2,500 children. Volunteers have to work a minimum of two months, in order to provide some stability for the children. Activities that volunteers might be involved in include teaching at the preschools, tutoring after school, going on field trips, and helping fundraise. The Mercy Centre does not provide accommodation, but there are no program fees. Happiness is hard to come by for those struggling with everyday life. That is where Gift of Happiness Foundation comes in. The organization was created by Eddie and Charlotte Haworth, and brings comedy and laughter to communities across Thailand. The Haworths are circus performers, and had previously run circus training workshops for underprivileged children in the United Kingdom. They have brought their performances to Thailand. Eddie first performed at a charity event in Thailand in 2000, and the foundation has been bringing smiles to the Land of Smiles ever since. In addition to accepting donations, the Gift of Happiness Foundation welcomes volunteers to join them in their quest to bring joy to the less fortunate. Volunteers are expected to cover the cost of accommodation and personal expenses during their stay. People come first at World Endeavors, an organization that has been helping volunteers connect with communities around the world for 13 years. Their programs give volunteers, interns, and students hands-on and authentic experiences by focusing on things like women’s empowerment and environmental protection. The main location in Thailand is Bangkok. Volunteers must be at least 18. A World Endeavors staff member is on site at all times, ready to provide volunteers with tips and tricks for getting around and exploring the city during evenings and weekends. World Endeavors certainly has the most projects to choose from, with programs including child care and orphanage assistance, community development, deaf education, elder care, environmental conservation, teaching, coaching, wildlife conservation, and many more. The initial cost of a week-long program is $1,390, and each additional week after the first is only $325. The cost of the program includes a program advisor, academic credit facilitation, airport pick-up, accommodation with a local host with two meals per day, and much more. Volunteers who choose to stay for four weeks or more also benefit from additional Thai language instruction.